Friedrich Wilhelm Ernst Paulus (23 September 1890 – 1 February 1957) was a German general during World War II who commanded the 6th Army during the Battle of Stalingrad (August 1942 to February 1943). The battle ended in disaster for Nazi Germany when Soviet forces encircled and defeated about 265,000 personnel of the Wehrmacht, their Axis allies and collaborators. Paulus surrendered in Stalingrad on 31 January 1943,[Note 1] the same day on which he was informed of his promotion to field marshal by Adolf Hitler. Hitler expected Paulus to commit suicide, repeating to his staff that there was no precedent of a German field marshal ever being captured alive. While in Soviet captivity during the war, Paulus became a vocal critic of the Nazi regime and joined the Soviet-sponsored National Committee for a Free Germany. He moved to East Germany in 1953. Paulus was born in Guxhagen and grew up in Kassel, Hesse-Nassau, the son of a treasurer. He tried, unsuccessfully, to secure a cadetship in the Imperial German Navy and briefly studied law at Marburg University. Many English language sources and publications from the 1940s to the present day give Paulus' family name the prefix "von". (As one example, Mark Arnold-Forster's The World At War, companion volume to the documentary of the same name, Stein and Day, 1973, pp. 139–42; a further example would be Allen and Muratoff's "The Russian Campaigns of 1941-1943," published in 1944.) This is incorrect, as Paulus' family was never part of the nobility. After leaving the university without a degree, he joined the 111th Infantry Regiment as an officer cadet in February 1910. On 4 July 1912 he married the Romanian Elena Rosetti-Solescu [ro], the sister of a colleague who served in the same regiment. When World War I began, Paulus' regiment was part of the thrust into France, and he saw action in the Vosges and around Arras in the autumn of 1914. After a leave of absence due to illness, he joined the Alpenkorps as a staff officer, serving in Macedonia, France, Romania and Serbia. By the end of the war, he was a captain. After the Armistice, Paulus was a brigade adjutant with the Freikorps. He was chosen as one of only 4,000 officers to serve in the Reichswehr, the defensive army that the Treaty of Versailles had limited to 100,000 men. He was assigned to the 13th Infantry Regiment at Stuttgart as a company commander. He served in various staff positions for over a decade (1921–33) and then briefly commanded a motorized battalion (1934–35) before being named chief of staff for Panzer headquarters in October 1935. This was a new formation under the direction of Oswald Lutz that directed the training and development of the Panzerwaffen, or tank forces of the German army. In February 1938 Paulus was appointed Chef des Generalstabes to Gen. Heinz Guderian's new XVI Armeekorps (Motorisiert), which replaced Lutz's command. Guderian described him as "brilliantly clever, conscientious, hard working, original and talented" but had severe doubts about his decisiveness, toughness and lack of command experience. He remained in that post until May 1939, when he was promoted to major general and became chief of staff for the German Tenth Army, with which he saw service in Poland. The unit was renamed the Sixth Army and engaged in the spring offensives of 1940 through the Netherlands and Belgium. Paulus was promoted to lieutenant general in August 1940. The following month he was named deputy chief of the German General Staff (Oberquartiermeister I). In that role he helped draft the plans for the invasion of the Soviet Union, Operation Barbarossa. In November 1941, after German Sixth Army's commander Field Marshal Walther von Reichenau—Paulus' patron—became commander of the entire Army Group South, Paulus, who had never commanded a larger unit than a battalion prior to this time, was promoted to General der Panzertruppe and became commander of the Sixth Army. However, he only took over his new command on 20 January, six days after the sudden death of Reichenau, leaving him on his own and without the support of his more experienced sponsor. Paulus led the drive on Stalingrad during that summer. His troops fought Soviet forces defending Stalingrad over three months in increasingly brutal urban warfare. In November 1942, when the Soviet Red Army launched a massive counter-offensive, code-named Operation Uranus, Paulus found himself surrounded by an entire Soviet Army Group. 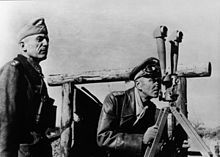 Kurt Zeitzler, the newly appointed chief of the Army General Staff, eventually got Hitler to allow Paulus to break out—provided he continue to hold Stalingrad, an impossible task. After a heavy Soviet offensive overran the last emergency airstrip in Stalingrad on 25 January, the Soviets again offered Paulus a chance to surrender. Paulus radioed Hitler once again for permission. He stressed that his men were without ammunition or food, and he was no longer able to command them. He also said that 18,000 men were wounded and were in immediate need of medical attention. Once again, Hitler ordered Paulus to hold Stalingrad to the death. On 30 January Paulus informed Hitler that his men were only hours from collapse. 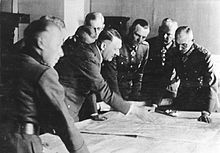 Hitler responded by showering a raft of field promotions by radio on Paulus' officers to build up their spirits and steel their will to hold their ground. Most significantly, he promoted Paulus to Generalfeldmarschall. In deciding to promote him, Hitler noted that there was no known record of a Prussian or German field marshal ever having surrendered. The implication was clear: Paulus was to commit suicide. Hitler implied that if Paulus allowed himself to be taken alive, he would shame Germany's military history. Paulus (left) and his aides Col. Wilhelm Adam (right) and Lt.-Gen. Arthur Schmidt (middle), after their surrender in Stalingrad. 'One can't help feeling it's an invitation to suicide. However I'm not going to do them such a favour.' said Paulus after reading the dispatch. Schmidt continued: 'At the same time I have to inform you that the Russians are at the door.' with these words he opened the door and a Soviet general and his interpreter entered the room. The general announced that we were his prisoners. I placed my revolver on the table. 'Prepare yourself for departure. We shall be back for you at 9.00. You will go in your personal car.' said the Soviet general through his interpreter. Then they left the room. I had the official seal with me. I prepared for my last official duty. I recorded Paulus's new rank in his military document, stamped it with the seal then threw the seal into the glowing fire. The main entrance to the cellar was closed and guarded by the Soviet soldiers. An officer, the head of the guards, allowed me and the driver to go out and get the car ready. Climbing out of the cellar, I stood dumbfounded. Soviet and German soldiers, who just a few hours earlier had been shooting at one another, now stood quietly together in the yard. They were all armed, some with weapons in their hands, some with them over their shoulders. My God, what a contrast between the two sides! The German soldiers, ragged and in light coats, looked like ghosts with hollow, unshaven cheeks. The Red Army fighters looked fresh and wore warm winter uniforms. Involuntarily I remembered the chain of unfortunate events which had prevented me from sleeping for so many nights. The appearance of the Red Army soldiers seemed symbolic. At 9.00 sharp the HQ commander of the 64th Army arrived to take the commander of the vanquished German 6th Army and its staff towards the rear. The march towards the Volga had ended." In peacetime Germany, about 18,000 or 20,000 people a year chose to commit suicide, even without being in such a position. Here is a man who sees 50,000 or 60,000 of his soldiers die defending themselves bravely to the end. How can he surrender himself to the Bolshevists?! Paulus, a Roman Catholic, was opposed to suicide. During his captivity, according to Gen. Max Pfeffer, Paulus said of Hitler's expectation: "I have no intention of shooting myself for this Bohemian corporal." Another general told the NKVD (the public and secret police organisation of the Soviet Union) that Paulus had told him about his promotion to field marshal and said, "It looks like an invitation to commit suicide, but I will not do this favor for him." Paulus also forbade his soldiers from standing on top of their trenches in order to be shot by the enemy. Shortly before surrendering, Paulus sent his wedding ring back to his wife on the last plane departing his position. He had not seen her since 1942 and would not see her again, as she died in 1949 while he was still in captivity. 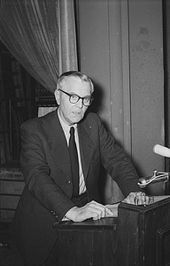 Paulus speaking at a press conference in East Berlin in 1954. At first Paulus refused to collaborate with the Soviets. However, after the attempted assassination of Hitler on 20 July 1944, he became a vocal critic of the Nazi regime while in Soviet captivity, joining the Soviet-sponsored National Committee for a Free Germany appealing to Germans to surrender. He later acted as a witness for the prosecution at the Nuremberg Trials. He was allowed to move to the German Democratic Republic in 1953, two years before the repatriation of the remaining German POWs. ^ Paulus claimed that "I didn't surrender. I was taken by surprise". (Paulus in conversation with Marshal Voronov). ^ They put the number of POW captured at Stalingrad at 100,000 of whom 6,000 survived. ^ On one of the final Luftwaffe flights out of Stalingrad, Paulus had sent his wedding ring to his wife (Commanders at War, on the Military Channel, 28 May 2010). ^ Beevor 1998, p. 390. ^ Königlich Preußischer Staatsdienst-Kalender für den Regierungsbezirk Cassel auf das Jahr 1890/91. Reformirtes Waisenhaus, Cassel 1891, p. 249 (Corrections- und Landarmen-Anstalt zu Breitenau. ORKA). ^ Glantz & House 2009, p. 22. ^ a b c d e Adam, Wilhelm; Ruhle, Otto (2015). With Paulus at Stalingrad. Translated by Tony Le Tissier. Pen and Sword Books Ltd. pp. 2–3. ISBN 9781473833869. ^ 'Meeting The Victors', Sputnik Magazine, 1968, USSR; (English language article). ^ Overy 1997, p. 185. ^ Beevor 1998, p. 381. ^ "Battle of Stalingrad - a summary - History in an Hour". historyinanhour.com. 2 February 2012. Retrieved 3 April 2018. ^ Craig 1973, p. 280. ^ Werth et al. Paczkowski 1999, p. 322. ^ "Paulus, Friedrich von "der Lord". - WW2 Gravestone". ww2gravestone.com. Retrieved 3 April 2018. ^ a b c d e f Rangliste des Deutschen Reichsheeres (in German). Mittler & Sohn Verlag. 1930. p. 132. ^ a b Thomas 1998, p. 143. ^ a b Scherzer 2007, p. 585. Adam, Wilhelm & Otto Ruhle. With Paulus at Stalingrad, Pen & Sword Books Ltd., England, 2015. ISBN 978-1-47383-386-9. Beevor, Antony (1998). Stalingrad, The Fateful Siege: 1942–1943. New York: Penguin Books. ISBN 978-0-670-87095-0. Craig, William (1973). Enemy at the Gates. The Battle for Stalingrad. Victoria: Penguin Books. ISBN 0-14-139017-4. Glantz, David M.; House, Jonathan (2009). To the Gates of Stalingrad: Soviet-German Combat Operations, April–August 1942. Lawrence, Kansas: University Press of Kansas. ISBN 978-0-7006-1630-5. Overy, Richard (1997). Russia's War. United Kingdom: Penguin. ISBN 0-14-027169-4. Werth, Nicolas; Bartošek, Karel; Panné, Jean-Louis; Margolin, Jean-Louis; Paczkowski, Andrzej; Courtois, Stéphane (1999). The Black Book of Communism: Crimes, Terror, Repression. Harvard University Press. p. 858. ISBN 0-674-07608-7.